Some errors has feedback , and now 3 notices to read , them will be fixed next release . version = 1" ,and then saved , change back .zip to .mzp , and drop in max to install . 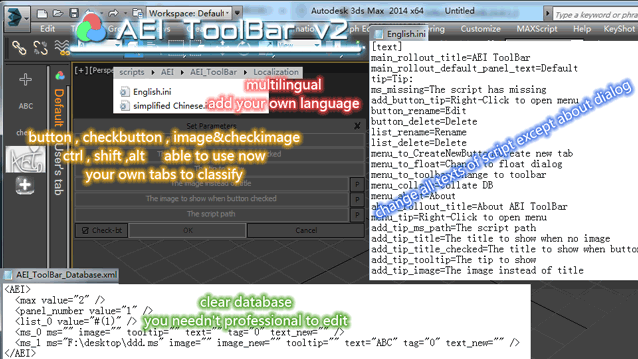 2、don't use "Collate DB" , there are something wrong , I will rewrite the function . 3、if you use windows10 , the buttons may disappear until you move mouse on them , it is right on windows7 , I will find the windows10's API to fix .